Well, the baseball world just got stickier yesterday. As many know, ever since A-Rod tested positive for drug use in 2003, then publicly admitted that he was using, the entire sport has been under suspicion. Yesterday, another superstar from that era reportedly tested positive in ’03. None other than Chicago Cub hero, Sammy Sosa. 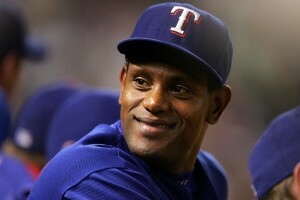 Now, everybody has been skeptical of Sosa’s performance even since he was in the home-run battle with Mark McGwire. However, this proves that he was, in fact, cheating. That severely tarnishes not only his legacy, but also one of the best events to happen to the sport (the home-run race to break Roger Maris’ record). Big question is… who’s the next person revealed to have skeletons? Elsewhere in the sports world, some serious controversy in the NFL. Cleveland Browns wide-receiver, Donte Stallworth has had a tumultuous off-season. Several months ago he hit a pedestrian while driving drunk. He was, of course, issued a DUI but has been awaiting sentence on his crime. And today it was reported that he will only be serving 30 days in prison. There has been severe backlash against this extremely light sentence because, after all, he killed someone drunk driving. But the judge of the case said he thought the ruling was ‘fair’, and that the fact that Donte was an athlete, rich, or famous had nothing to do with the decision. Seems lopsided considering that the DUI driver that accidentally killed Angels pitcher Nick Adenhart was possibly facing the death penalty. Really, what’s the difference? In some NBA news, the Orlando Magic’s Hedo Turkoglu publicly stated that he will test the free agent market this summer. He was spectacular during Orlando’s playoff run, and definitely thinks he can cash in from another team. However, today the Magic said they would do practically anything to keep him around, to maintain the successful nucleus. They even said they would pay the luxury tax, which means that they would be in excess of the salary cap and have to pay a tax on that ‘luxury’. It will be interesting to see what Turkoglu decides to do. An finally, there was some uproar out of Los Angeles yesterday. The Lakers are having a gigantic public celebration at the Colliseum (home of the USC Trojans), and it is anticipated that hundreds of thousands of people will be in attendance for their victory parade afterwards. Well, most LA citizens were wondering, “Um, who’s paying for this? The taxpayers?” California is having serious budget issues right now, and there is no way that any Californians were going to allow tons of cash to go to waste on a victory party. The schools could use that money badly. The situation was defused, as it was reported that the parade will be financed by private donors. The taxpayers won’t pay a penny. So everyone can just have a good time.